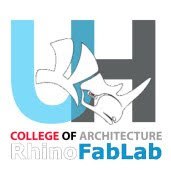 Join us in welcoming another member to our RhinoFabLab community! The Gerald D. Hines College of Architecture at University of Houston has recently joined the group. Join their group and be informed of upcoming events, workshops and digital fabrication opportunities.